Although it is not known exactly how long, earth-bag shelters have been used for decades, primarily as implements of refuge in times of war. Military infantrymen have used sand filled sacks to create bunkers and barriers for protection prior to World War I. In the last century other earth-bag buildings have undergone extensive research and are slowly beginning to gain worldwide recognition as a plausible solution to the global epidemic of housing shortages. German architect Frei Otto is said to have experimented with earth-bags, as is more recently Gernot Minke. 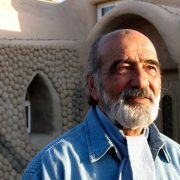 The technique’s current pioneer is Nader Khalili who originally developed the Superadobe system in 1984 in response to a NASA call for housing designs for future human settlements on the Moon and on Mars. His proposal was to use moon dust to fill the plastic Superadobe tubes and velcro together the layers (instead of barbed wire). 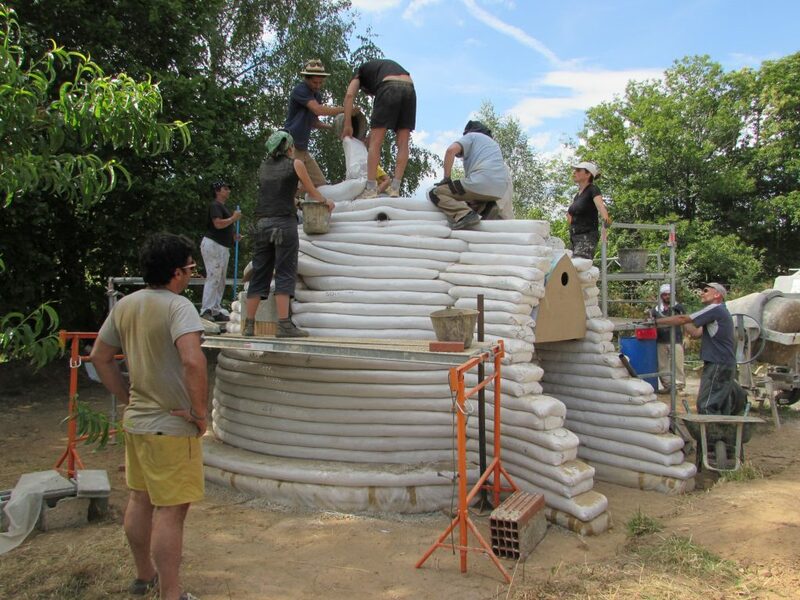 Some projects have been done using bags as low-tech foundations for straw-bale construction. They can be covered in a waterproof membrane to keep the straw dry. In 1995 15 refugee shelters were built in Iran, by Nader Khalili and the United Nations Development Programme (UNDP) and the United Nations High Commissioner for Refugees (UNHCR) in response to refugees from the Persian Gulf War. According to Khalili the cluster of 15 domes that was built could have been repeated by the thousands. The government dismantled the camp a few years later. Since then, the Superadobe Method has been put to use in Canada, Mexico, Brazil, Costa Rica, Chile, Iran, India, Mali, Thailand, as well as in the U.S and many more. True! He’s contributing a lot to Superadobe expansion and spread! 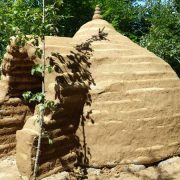 Consulting in Bio-construction and Permaculture. Permadomia helps you think green or greener.